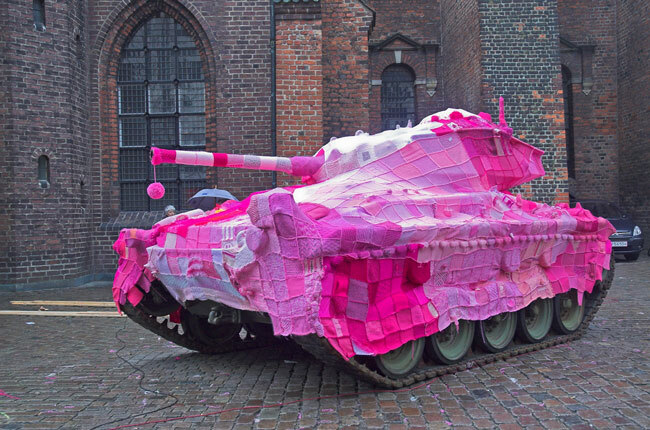 As both practice and discourse, craftivism implies questions of mobility: nomadic knitting while on public transportation; use of mobile technologies to organize yarn-bombing brigades; the installation of needlework in public, urban spaces. It follows what Sheller and Urry (2006) have described as “the new mobilities paradigm,” suggesting that increasing physical travel, the simultaneous growth of the internet and mobile telephony, and the international flow of consumer goods are putting issues of ‘mobility’ at centre stage. With these developments and a conception of mobility as having important implications for modern life, social relations, activism, and connections to space and place, this study examines the relationship of craftivism and mobility, asking how might the practice, politics, and culture of craftivism intersect with questions of mobility (and immobility)? Through an analysis of craftivism’s feminist roots and a series of illustrative examples, this study elaborates mobility as a conceptual frame, knitting and purling it with the craftivist movement and questions of urban space, networks, assemblages, and mobile media and technologies.